The heroic Cassini mission to Saturn is set to reach its dramatic conclusion on 15 September. After a seven-year journey from Earth, the probe has been studying the planet, its glorious rings and its fascinating moons for the past thirteen years. Now, with its fuel running low, it is time for the NASA probe to plunge into the Saturnian atmosphere where, in the interest of so-called planetary protection, it will disintegrate and vaporise. To leave it in orbit around the planet would run the risk of it colliding with the rings or one of the moons, with the outside possibility of contaminating them with microbes from the Earth. This was of little concern when Cassini’s mission was planned, and it carried and delivered the European-built Huygens probe which parachuted to the surface of Saturn’s largest moon, Titan. It touched down on a world in which rivers of liquid hydrocarbons, chiefly methane, flow into lakes in a landscape dominated by water-ice mountains. Now, though, we realise that despite Saturn’s remoteness from the Sun, the possibility of alien life there cannot be discounted. Indeed, it seems clear that its small moon Enceladus has a subsurface watery ocean and there has been talk of sending a mission to search for organic compounds in the plumes of water erupting from geysers on its surface. Recent orbits of Saturn have seen Cassini piercing the gap between Saturn and its rings, and even skimming the planet’s outer atmosphere. It will continue to collect data as it begins its final suicidal dive into Saturn’s atmosphere on the 15th, but its signal will be lost at around 13:00 BST as aerodynamic forces cause it to tumble and, eventually, break apart and burn up. The Sun crosses southwards over the equator at 21:02 BST on the 22nd, the moment of our autumnal equinox. Sunrise/sunset times for Edinburgh change from 06:17/20:07 BST on the 1st to 07:14/18:50 on the 30th. The Moon is full on the 6th, at last quarter on the 13th, new on the 20th and at first quarter on the 28th. 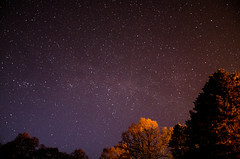 Now that Scotland’s persistent summer twilight is behind us, our nights offer views of the Milky Way as it arches directly overhead from the south-west to the north-east at our chart times, carving through the Summer Triangle formed by Deneb, Altair and Vega which now lies just west of the high meridian. To the east of the Triangle is the distinctive form of the celestial dolphin, Delphinus, where the celebrated English amateur astronomer George Alcock discovered a famous and unusual naked-eye nova fifty summers ago in 1967. 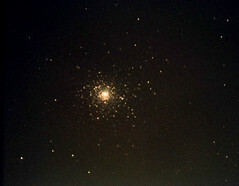 I remember watching the stellar outburst as it took five months to reach its peak brightness at magnitude 3.5. Now assigned the variable-star tag HR Delphini, the star is still visible as a twelfth magnitude object through telescopes. 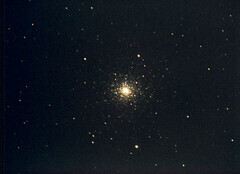 Another 13° east of Delphinus is the globular star cluster Messier 15, 4° north-west of Pegasus’s brightest star, Enif. A tightly packed globe of perhaps 100,000 stars, all very much older than our Sun, M15 lies around 34,000 light years away and looks like a fuzzy star through binoculars. Saturn is the sole bright planet to appear on our star maps. Look for it as the brightest object low down in the south-south-west at nightfall and even lower in the south-west by our map times, only thirty minutes before it sets. 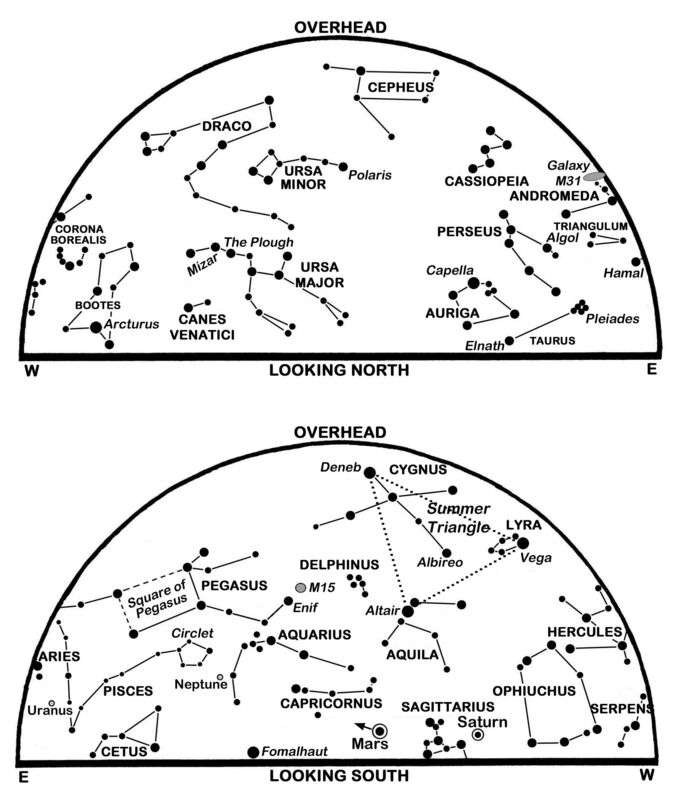 Edging eastwards in Ophiuchus, it shines 4° below-left of the Moon on the 26th. Jupiter is bright at magnitude -1.7 but hard to see very low in the west-south-west just after sunset. By mid-month it is likely to be lost in the twilight. Our charts plot the two outer planets, the ice giant world Uranus in Pisces and its near-twin Neptune in Aquarius, though we probably need more detailed charts to identify them through binoculars or telescopes. At magnitude 5.7, Uranus is at the verge of naked-eye visibility, while Neptune reaches opposition on the 5th and is dimmer at magnitude 7.8. The other planets are about to join Venus low down in our eastern sky at the end of the night. 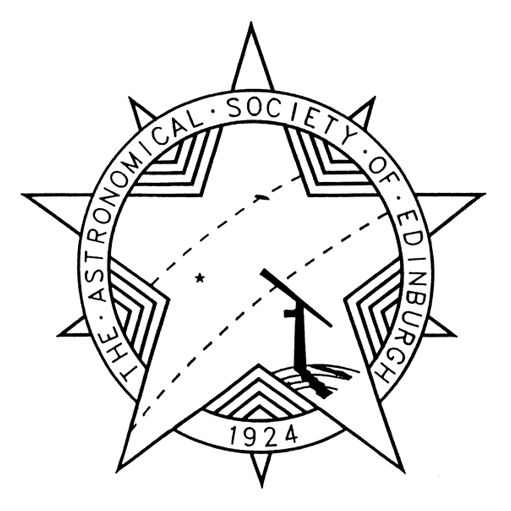 The brilliant morning star shines at magnitude -4.0 when it rises in the north-east at 03:04 for Edinburgh on 1 September, and climbs 25° high into the east by sunrise. Catch it through binoculars before the twilight intervenes on that day and look 1.2° to its left for the Praesepe or Beehive cluster of stars in Cancer. Leaving the cluster behind, Venus tracks east-south-eastwards into Leo to pass 0.5° (a Moon’s breadth) north of the star Regulus on the 20th. Mercury emerges from the Sun’s glare to stand 18° west of the Sun and 11° below-left of Venus on the 12th. Between the 6th and 23rd it rises more than 80 minutes before sunrise and brightens eightfold from magnitude 1.1 to -1.1. On the 6th, in fact, Mercury lies 2.5° to the right of Regulus which, in turn, is 0.8° to the right of the fainter magnitude 1.8 planet Mars. As Regulus climbs above them, the two planets then converge to lie less than 0.5° apart on the 16th and 17th. Early risers are in for a special treat when the waning earthlit Moon joins the party on the 17th. On that morning, Venus stands 10° below-left of the Moon and almost 4° above-right of Regulus, with the Mars-Mercury conjunction another 8° below and to the left. On the 18th, the line-up is even more compact as the Moon shifts to lie 0.7° below Regulus. By the 30th, Venus rises in the east-north-east at 04:41 and is 3° above-right of Mars. This is a slightly-revised version of Alan’s article published in The Scotsman on August 31st 2017, with thanks to the newspaper for permission to republish here. There is no shortage of stellar interest in our September evening sky but anyone willing and able to observe later in the night may see the largest full moon of the year turn dull and red as it is totally eclipsed on the morning of the 28th. There is also a nice grouping of planets in the east before dawn. Our chart depicts the sky in our late evening at present and shows the star Deneb in Cygnus almost at the zenith as the Summer Triangle it forms with Vega and Altair begins to topple westwards. 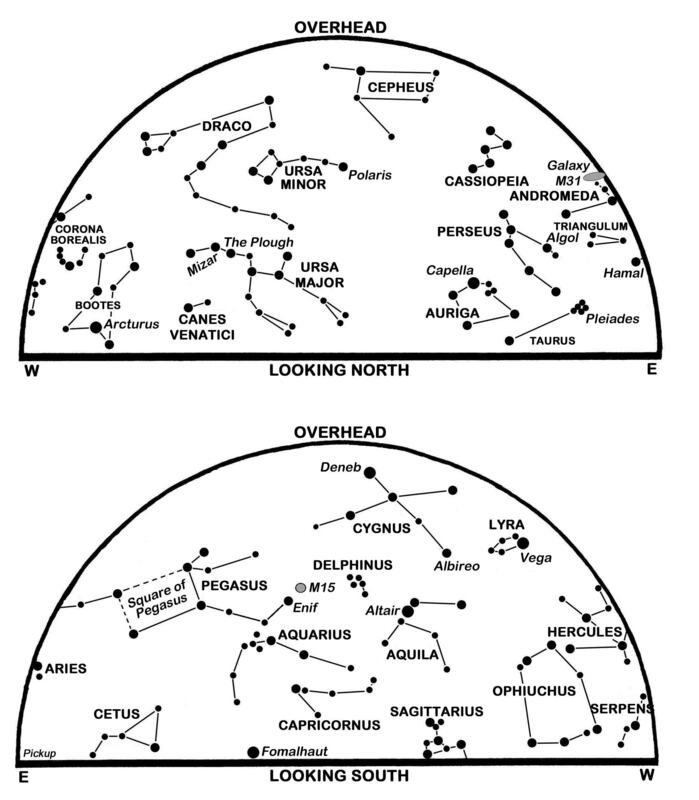 The Square of Pegasus is climbing in the south-east in a rather sparsely populated region of the sky. The Pleiades in Taurus glimmer low in the east-north-east as they begin their climb to the high meridian by dawn. They stand above the Moon on the Friday night of the 5th/6th as the Moon draws closer to Aldebaran, the leading star of Taurus, eventually to occult the star during the morning twilight. As seen from Edinburgh the star winks out as it disappears behind the sunlit eastern edge of the Moon at 05:51 BST on Saturday, 6th. Our sole bright evening planet, Saturn, hovers only 10° above Edinburgh’s south-western horizon as darkness falls and sinks a little lower each evening as it creeps eastwards against the stars of eastern Libra. Telescopically, its disk appears 16 arcseconds broad while the rings are 37 arcseconds across with their north face inclined at 24°, but it is past its best as a target and, since it sets 30 minutes before our map times, we need to be quick to catch it. Look for it to the left of the young Moon on the 18th. The Sun slips southwards over the celestial equator at 09:21 BST on the 23rd, marking the autumnal equinox in our northern hemisphere. Meanwhile, sunrise/sunset times for Edinburgh change from 06:16/20:08 BST on the 1st to 07:13/18:52 to the 30th as the duration of nautical twilight at dawn and dusk shrinks from 89 to 80 minutes. The Moon is at last quarter on the 5th and new on the 13th when a partial solar eclipse is visible from southern Africa and Antarctica. Following first quarter on the 21st, the full moon on the 28th is a much more intriguing event because not only is it totally eclipsed, but it coincides with the Moon’s closest approach to the Earth (at perigee) in the whole of 2015. As a result, the Moon appears 7% wider than it does on average and, while the enlargement is not startlingly obvious to the casual observer, it has led to near-perigee full moons being called supermoons. As the full moon closest to the equinox, this is also the harvest moon, a title that comes from the fact that, for several nights in a row, the bright Moon hangs low in our eastern sky as the night begins and extends the period by which the harvest may be gathered. The illusion that makes the Moon appear larger than usual when it stands low in the sky is also pronounced around this time and can only be enhanced by the supermoon circumstance. The eclipse on the morning of the 28th, though, begins at 01:12 BST with the Moon well up in our southern sky, in the constellation Pisces and below the Square of Pegasus. The Moon meets the outer edge of the Earth’s penumbral shadow at that time, but little darkening may be noticed for another 30 minutes or more. The dark shadow of the umbra beings to invade the lunar disk at 02:07, while from 03:11 until 04:23 the Moon is totally eclipsed as it crosses the southern part of the umbra. Here the Moon is only illuminated, usually with a reddish hue, by light scattered around the edge of the Earth. Varying atmospheric conditions, clouds and volcanic dust, on our home world mean that the appearance and brightness of the eclipsed Moon is always of interest. The Moon leaves the umbra behind at 05:27 and stands only 7° above Edinburgh’s western horizon when it exits the last of the penumbra at 06:23. Venus, already a spectacular morning star, rises at Edinburgh’s east-north-eastern horizon 100 minutes before the Sun on the 1st and more than four hours before sunrise at the month’s end. Improving from magnitude -4.4 to -4.5, it shows a slender but dazzling crescent through binoculars though it shrinks in diameter from 51 to 43 arcseconds as it recedes from 48 million to 76 million km. The giant planet Jupiter lags some 20° below-left of Venus and emerges from the Sun’s far side by mid-month to shine at magnitude -1.7, just brighter than Sirius which is low in the south-east at the time. Our third morning planet, Mars, is much fainter at magnitude 1.8 and stands 9° above-left of Venus on the 1st. Also still on the far side of its orbit, it slips down and to the left in the direction of Jupiter and passes 0.8° north of Leo’s leading star Regulus on the 24th. The blue-white of Regulus outshines the orange tinted Mars and the contrasting pair make an interesting sight roughly half-way between Venus and Jupiter for a few mornings around that day. The little innermost planet, Mercury, stands furthest east of the Sun (27°) on the 4th but is much too low in our western evening twilight to be seen this month. After sweeping around the Sun’s near side on the 30th, it is due to make its best appearance of the year as a morning star in October. This is a slightly-revised version of Alan’s article published in The Scotsman on September 1st 2015, with thanks to the newspaper for permission to republish here.